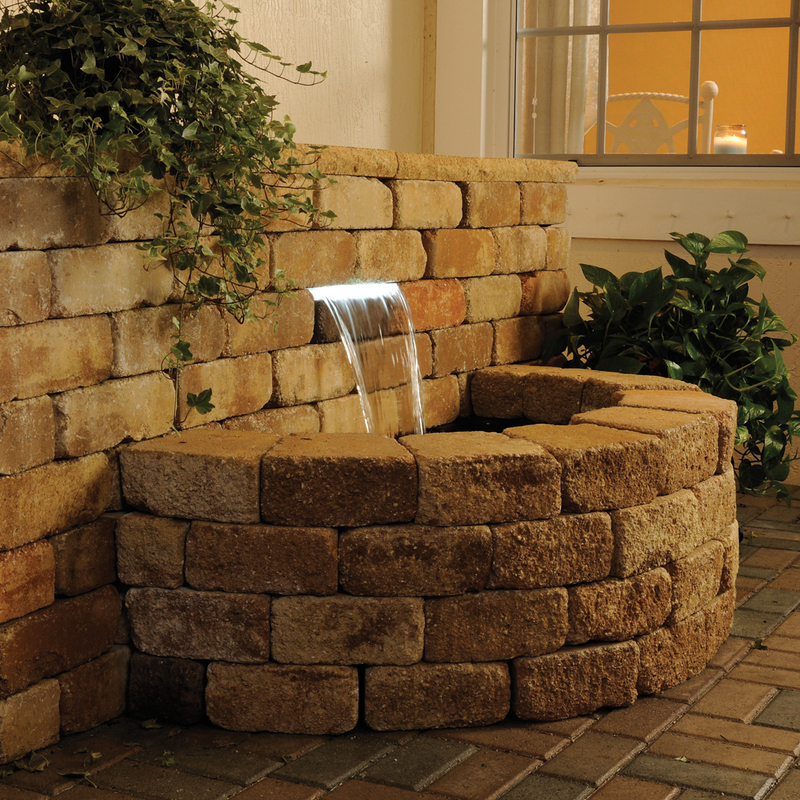 The Water Cascade with White LED Lights is a great way to add radiant elegance to your water feature during the night. Available at The Home Depot. The Water Cascade with White LED Lights is a great way to add radiant elegance to your water feature during the night. The 14 in. spillway creates a beautiful shimmer in your water with the LED lights glowing behind the water cascade. You can easily incorporate the waterfall in-ground or above ground with just a pump and tubing. It is perfect for a spillway into your pond, retaining walls or disappearing water features. The Water Cascade with White LED Lights is a 14 in. 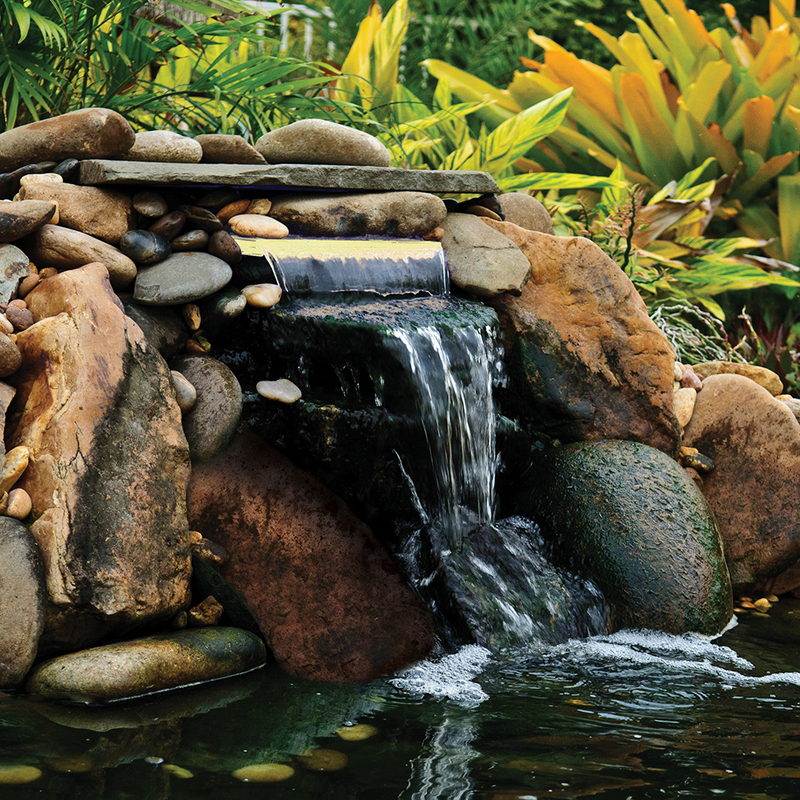 spillway ideal for creating a beautiful waterfall in a pond, a retaining wall, or a disappearing water feature. The Water Cascade includes a 20 ft. power cord with a UL-listed transformer and an adaptor that fits 3/4 in. or 1 in. tubing. Its bright, long-lasting LED lights create an elegant nighttime effect. The Water Cascade is easy to install and maintenance-free. Spillway Dimensions: 14 x 1 in. Overall Product Dimensions: 11.9 x 15.4 x 5.3 in.